You are here: Home / e-commerce packaging / Does The World Still Need Bubble Wrap? Does The World Still Need Bubble Wrap? Packing materials can now be made from seaweed. One inventor won a contest with an inner layer of a box that uses triangle networks to secure shippable items. Is it possible that bubble wrap, which celebrated its fifty-eighth birthday in January 2018, is now becoming obsolete? Let’s explore. The reason bubble wrap is controversial and somewhat forbidden is that it’s petroleum based. Since it’s plastic, when it breaks down it releases harmful gases. 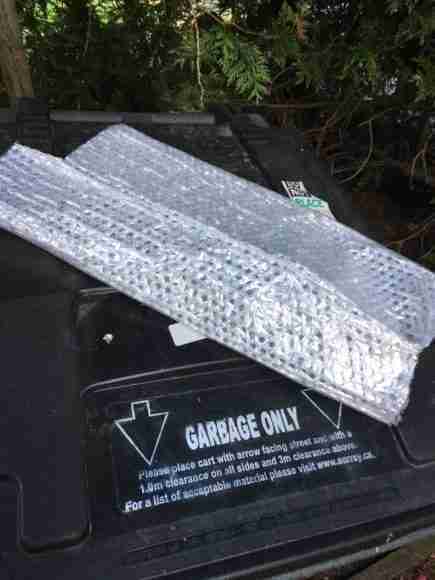 Further, most curbside recycling programs don’t accept bubble wrap because it tends to jam machines. When you add these factors in with the fact that bubble wrap often gets popped and can easily get torn before re-use, plus the practice of many businesses overpackaging with too much of it, it’s easy to see why bubble wrap does not have a good name. What may replace bubble wrap? You may have received a package with a thin layer of soft, delicate tan material protecting it rather than foam or bubble wrap. This would be bamboo, which is becoming more and more popular with firms shipping electronics, with Dell being one example. Bamboo couldn’t be more suited for use in packing materials and other products: it’s easy to find near a company’s various facilities; it grows back quickly, making it very renewable; and it’s biodegradable. While some of the materials made from bamboo may not seem to give as much protection as the big tubes of bubble wrap trapping air, or even traditional bubble wrap, they can be used for shipping a variety of materials. And as I alluded to in the intro, all sorts of bio materials can be used for packaging. Mycelium, palm fiber, and bagasse are three common examples. As for the latter, bagasse, it is derived from sugar cane. When the stalks of this staple plant are crushed to yield cane juice, what’s left is a hardy fibrous material called bagasse. This can be used alone or with cotton or bamboo. One bagasse-based product, karta bagasse looks just like hard plastic, but as you can deduce, it’s perfectly biodegradable. So, Will Bubble Wrap Survive? Naturally, companies who manufacture large quantities of bubble wrap and sell these to businesses to use in their shipping could be in danger of becoming a relic, and must keep up. The first thing for them to do is create innovations in their product to make it more eco-friendly. Sealed Air has been in the business of producing bubble wrap since 1960 and is presently working to reduce the footprint made by its products. They produce various varieties of packing material that is thin, compact, returnable, and in one case, inflated just before its use. One of Sealed Air’s focuses is on creating bubble wrap that will allow for the smallest packages possible. They say that their inflate-when-needed Bubble Wrap IB cuts required shipping space from 36 trucks to 1. This, of course, really cuts down on the carbon footprint. And that illuminates a very important concept. While bubble wrap can rightly be maligned for some of its properties, the company Sealed Air itself does great things for the environment. Its headquarters are in Charlotte, NC, and the campus is LEED certified, while Sealed Air has achieved a 39.1 % reduction in plastic waste to landfills. Now, one can argue that getting rid of plastic altogether or using only post-consumer recycled materials is better. However, Sealed Air is recognized as a Green Giving Corporation for its many projects to recycle products and otherwise help the environment. This shows that while choice of materials is important, helping the environment is a holistic process, and that well-meaning folks can come at the challenge from many angles.